Before each product is put on the market, the merchant or brand will spend a lot of time and energy to design the packaging, make the packaging become the representative element of the product or brand, and even the consumer will associate the brand value with the packaging, which is undoubtedly successful. As paper tube packaging is accepted by more consumers, it can be widely used as cosmetic box packaging, food packaging, essential oil bottle packaging and gift boxes. For brands and products, what factors need to be considered in the design of paper tube packaging, or how to design, in order to increase the brand value of paper tube packaging, or enhance the brand reputation? 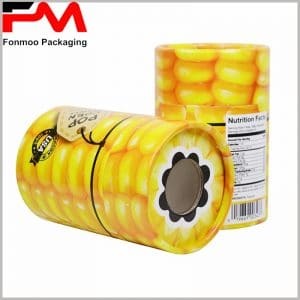 Today’s product packaging is not only a single function of packaging products, but also has become a brand communicator and exhibitor, and puts more demands on packaging design. It is worth noting that in our paper tube packaging design, we should avoid too boring display of the brand, and need to incorporate more humanized element into the packaging design. In order to achieve this goal, we consider fun as one of the considerations for round box packaging design, usually using 3D printing technology to interact with the audience (as shown in the wood grain tube food packaging). Or, we need to take into account the directness in the packaging design, let the consumer see the contents of the outer packaging, and immediately know what product it belongs to (cherish packaging as shown). The elements of these considerations, through 3D printing technology, or transparent windows, will be more conducive to the brand’s display and value. Paper tube packaging design, paying attention to several important factors, are reflected as: knowledge, exchange and social. Especially for the electronic product packaging or pharmaceutical packaging, product parameters and other knowledge in the packaging will be very necessary, these will be the main measure of the product. We will also usually print our social account or website address on the surface of the package, and can enter the official website to learn more knowledge, or join the social user account group, which is beneficial to the brand and consumers to interact. The consideration of various factors will promote the brand from different aspects, and the paper tube packaging serves as the intermediate carrier. Constantly updating the fashion packaging is also a major factor in the design of paper tube packaging. Our products are updated from time to time to make them more perfect and require new product packaging to reflect. And people’s aesthetic concepts will change with time, and consumers will inevitably experience aesthetic fatigue for old packaging. The emergence of new packaging will clearly tell consumers that new changes in products will be more in line with market demand and encourage consumers to purchase. The most important thing about custom packaging is logo printing, which is a reflection of the brand. It is also very important to have a logo in the paper tube packaging design. In the process of logo printing, you can choose the bronzing process, hot silver process, U metal powder process, embossing process, UV ink printing, etc., but different printing will show different effects, which has an important impact on the luxury of the brand. As a professional tube-boxes packaging manufacturer, we can provide you with a variety of paper tube packaging design solutions to make your product packaging more perfect.